2007 was a bumpy year for Palm. 2007 was Palm's "year of wandering in the desert." They had several devices miss their expected release date; they watched most of their caché as the "smartphone for the masses" go to the iPhone; they watched their stock sink while RIM's soared; they announced, delayed, and then cancelled the Foleo; they had atrociously bad quality control and execution of the Treo 700p ROM update; We could go on. If 2007 was Palm's year in the desert, then 2008 is the year they find the promised land. Yes, Jon Rubinstein is Moses in this metaphor, enforcing commandments like "Thou Shalt Not Have QC Issues" and "Thou Shalt Not Have a Crappy Browser" (we hope the commandments are like that). Problem, though: the promised land is fallow, windswept, and filled with enemies who are intent on destroying them. So Palm will spend 2008 hunkering down - they'll sow seeds, dig irrigation, and so on... we are talking Research and Development here. So while Palm will definitely release new (and pretty exciting) Treos, they won't blow anybody's mind in 2008. So basically this is what we're expecting from Palm in 2008: better than 2007, but not great. The "great" we're waiting on 2009 for. This expectation comes primarily from Palm's own statements about their plans. As Ed Colligan noted in Palm's last financial conference call, Palm intends to stop providing "guidance" with regard to their expected revenue and profit from quarter to quarter. Although this could be taken as a (very) bad sign, it's more likely that Palm is trying to remove as much volatility from their corporate equation as possible. Palm doesn't need to conquer the world in 2008, they just need to survive - and survival doesn't necessarily mean constantly convincing investors to keep their stock price high. Frankly, we expect Palm's stock to be undervalued for most of 2008, darn near bargain-basement given our hopes for them in 2009. Nevertheless, "hunkering down" and "surviving" doesn't mean that Palm isn't going to release some new devices in 2008. It doesn't even mean that some of these devices won't be pretty cool. During that last conference call, Ed Colligan has said that "we're done with adjustments" when it comes to innovation in form factors, design, and software -- but those innovations will come later, with the new PalmOS. For this year, he hinted that incremental improvements on both platforms would come, and that opportunities for improvement there included WiFi, GPS, and smaller form factors. If we're waiting for 2009 for the revolution, that doesn't mean we can't get a little pumped up about the evolution Palm intends to bring in the coming year. So let's take a look at what we think Palm's roadmap for 2008 will be. We'll go from most likely to least likely. The rumored Treo 800w, which is a Windows Mobile-based Treo that is supposed to come out on Sprint (or possibly Verizon). The main new features include WiFi, a higher resolution screen, and probably GPS. The Treo 800w will be a flagship device for Palm for 2008 - their top of the line for quite awhile. The good news there is that the 800w will be top-of-the-line,period. It will have a better form-factor than other Windows Mobile Pro device because of its front-facing touchscreen and keyboard. It will have better one-handed use than any other Windows Mobile Pro device. It will have a higher resolution than the vast majority of Windows Mobile devices, 320x320 instead of 320x240. Although we do not yet have live shots of the Treo 800w, we do have the picture at right, leaked late in 2007. The form factor is 'classic Treo,' though it's expected to take away at least one thing from the Centro - a slightly thinner body with a well-curved back. The 800w is also expected to include more of Palm's custom improvements to Windows Mobile, included threaded sms and a 'screen saver' that displays key information like time and number of messages when the backlight is off (source). We are so sure of the 800w's relatively imminent release that our sister site, WMExperts, is running a contest to give one away when it is released: WMExperts Rumortastic Giveaway: Treo 800w Extras. The next device we're positive is coming is the GSM version of the Centro. We expect it will be released on AT&T (and other international carriers, of course) in 2008. It should be functionally identical to the CDMA version of the Centro except it will have only EDGE for internet access instead of 3G data. Again, there is concern that the current PalmOS simply isn't able to properly communicate with HSDPA data. Anyone doubting that Palm will release a GSM version of the Centro should stop - it's coming and hopefully soon. Palmdoc of The Palmdoc Chronicles, had written a review of a GSM Palm Centro. The review was pulled. So we're figuring that Palm is bound to have a GSM Centro coming out, but when? The photo to the left was originally posted at GearDiary and was referred to as the Treo 500p. The Centro was originally meant to be given the "Treo" name and was only changed to Centro late in its development. Even more interesting are these pics that we just spotted on page 4 over at TreoCentral Forum Thread "Reading through Palm's FCC emails...clues for next devices" thread (more on that thread below). Forum member nomad2000 writes "here is Centro GSM version(for internal testing), will be launched at Q1,2008 , China mobile." Notable detail: the images are also marked with the AT&T logo (image source). Final confirmation for the above two devices comes from forum member and WMExperts writer Malatesta, who did some digging at the FCC's site and posted his results in this thread. He found a .pdf called TCB Q and A which turned out to be emails between Palm and the FCC and lots of interesting tidbits. Otto is most likely the Treo 500w as that was it's codename found earlier (Surur?). And yes, Asus is the ODM on the project. We agree completely with Malatesta's assessment - nice find Mal! 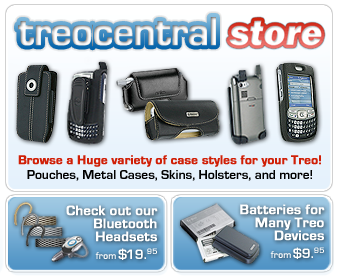 The Treo 800w and the GSM Centro are the 'confirmed' rumors - the evidence for their existence is basically overwhelming and we expect them in Q1 of 2008. As for the rest of the year the picture is a little fuzzier. The best we have to go on is to simply look at Palm's current offerings and determine where the gaps and opportunities lie. On the Windows Mobile side, Palm will have a flagship device in the 800w available on Sprint and later Verizon (or possible vice versa), but their top-tier GSM device, the Treo 750, will look a little tired by comparison. So look for an update to the Treo 750 sometime in 2008 - adding at least a 320x320 screen and hopefully WiFi and GPS. Palm also has an opportunity at the low end of the Windows Mobile market - their Treo 500v has been a modest success in Europe. They have the Centro on the PalmOS side, it's possible they may want to have Asus re-engineer the 500v with the proper radio chipset for release in the United States. The outlook on this one isn't as clear. For the PalmOS, we obviously expect the Centro to be available on Sprint, Verizon, AT&T, and unlocked by the end of the year. We frankly doubt that Palm intends to release a "flagship" PalmOS Treo in 2008, though we'd be pleasantly surprised if they were finally able to release the "Palm TX with phone" that many have asked for. Q3 (Jul - Sep) - Treo 800w Treo "850"
Palm allegedly is going to swoop in late this year (think October time frame) with an "ultra thin" (tipster's words, not ours) smartphone that'll rock WiMAX out of the box. Palm and Sprint have certainly seemed cozy as of late, so it's not unreasonable to assume that Palm would have devices for Sprint's WiMAX network at launch. The biggest X factor here is whether or not Sprint is actually able to deploy the network in 2008. Speaking of Sprint, we have heard from an anonymous source that Palm will be releasing a "clamshell Treo" on Sprint that will come in both Palm OS and Windows Mobile versions. This actually makes quite a bit of sense - after the Treo 800w the chart above looks pretty barren for Sprint. And a return of the clamshell form-factor might be an interesting way for Palm to continue to "grow the pie" by bringing in new users who haven't previously considered a smartphone. In any case, it's clear that the "stuff we expect" in the chart above looks like a relatively sparse product roadmap, even for a "hunkering down" year. If not a clamshell, we expect that Palm will have some sort of surprise in store for us in 2008. We both believe that it was a real shame Palm was forced to cancel the Foleo. It was really in their best interest since they need to be concentrating on the Linux-based Palm OS and innovative designs for the future. We still find it crazy that Palm ever even considered developing the Foleo operating system separately from their future PalmOS, let alone got as far along at executing that 'strategy' as they did. So we do think that Palm will most likely come out with a Foleo II, but we doubt that we'll see it next year. However, we wouldn't be surprised to see it in early 2009. In fact, we actually *hope* to see demos of the new Linux-based PalmOS running on a Foleo II in December. We call this our "pretty please" prediction. The funny thing about 2008 is that the lion's share of Palm's work will be hidden, directed at finishing the next generation of the PalmOS. They have their work cut out for them - having to come up with an OS to compete with the iPhone, Windows Mobile, and Android. The PalmOS is going to be primarily consumer-oriented rather than business-oriented. We expect it will be positioned in nearly the same niche as the iPhone - though with more of a "personal organization" focus. Honestly, though, we just plain don't know what the next PalmOS will be like. Palm has done a great job keeping it under wraps. What we want to see in 2008 is for Palm to open up a bit - to quit trying to be so secretive (since it rarely seems to work anyway) and share some of their plans with us. What we're saying is we hope that Palm reveals some details of their next-gen OS in 2008. What we're envisioning is that phones with the Android OS will ship (late) in October. That seems like a perfect time for Palm to share some details about the capabilities of their new OS. It would upstage Android and maybe even quiet any pre-holiday rumors of the iPhone 2 that are going to be inevitable by that point. We think that 2009 is going to be a stellar, comeback year for Palm. They will surprise us with some great Treos and other devices. They'll have a flagship device that will knock our socks off. Though 2008 won't be "the year" for Palm, it will still be exciting. Now that they have closed the deal with Elevation and restructured their design and management teams, they can put most of their focus on the new OS . Heck, just the fact that they have Jon Rubinstein leading the team makes us very optimistic. While many people focus on the fact that Rubinstein was "the podfather," we're also excited for Rubinstein's management chops. Before Rubinstein joined Apple in 1997 as senior vice president of hardware engineering and a member of its executive staff, Apple had just lost $816 million, and their profits were waning along with their reputation as an innovator. At Apple, Rubinstein was responsible for hardware development, industrial design and low-level software development. He contributed heavily to Apple's technology roadmap and product strategy. Finally, Rubinstein embarked on an extensive cost-cutting plan that axed both research projects and engineers. Expenses were cut in half. According to an article in the The Wall Street Journal, Rubinstein has been recruiting new talent and Palm's hiring process has sped up. With Rubinstein aboard, Palm now has a clear idea of what their product strategy is because Rubinstein has worked to streamline Palm's product plans. Palm executives have said that he and a small group locked down what projects would be kept and which would be taken off the agenda. And of course we know that the Foleo was taken off the agenda. So that's what we're expecting in 2008. As a company, Palm will keep its head down and its nose to the grindstone. Gadgetwise, we can expect the 800w, more Centros, an update to the Treo 750, and "something else" we're hoping is a clamshell Centro. What do you think? Is there a rumor we missed? Let us know in the forums!